Bastar police on Wednesday arrested a person along the Odisha-Chhattisgarh border and recovered 150 gelatin rods. RAIPUR: Bastar police on Wednesday arrested a person along the Odisha-Chhattisgarh border and recovered 150 gelatin rods, and 300 electronic detonators from him. In another incident, the Border Security Force (BSF) busted a Maoist hideout in the forested terrain of Kanker district and seized a cache of arms and banners. 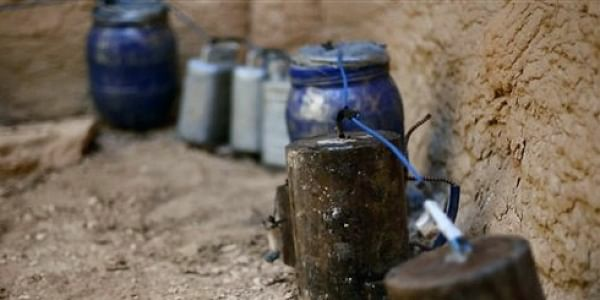 “The explosive consignment was apparently meant for the Maoists. On a tip-off we arrested the person who brought it from Odisha’s Malkangiri district. We have registered a case and will interrogate him further after taking him into police remand,” said Bastar SP Arif H Sheikh. The arrested person, Dawood Nakka, a resident of Malkangiri, later toldmedia persons that he used the explosives for fishing purposes, and said these are easily available in the restive Malkangiri district. In the second incident the BSF, based on intelligence inputs carried out a search operation from its Sulangi camp, and spotted a Maoist hideout and tracked down ten SBML (single barrel muzzle loading) guns, Maoist pamphlets, banners and tarpaulin. BSF officials believe that Maoists might have hidden these arms, used during their annual Tactical Counter Offensive Campaign (TCOC) from March till around mid-June, and can access it based on their need. The forces carried out the search operation in the region, about 200 km south of Raipur. Jagdalpur and Kanker are among the worst-affected Maoist districts in the conflict zone of Bastar.